Feral horses are free-roaming, untamed horses who are descended from domesticated horses that strayed or escaped into the wild. They are not the "true" wild horses, which are ones that have never had domesticated ancestors. 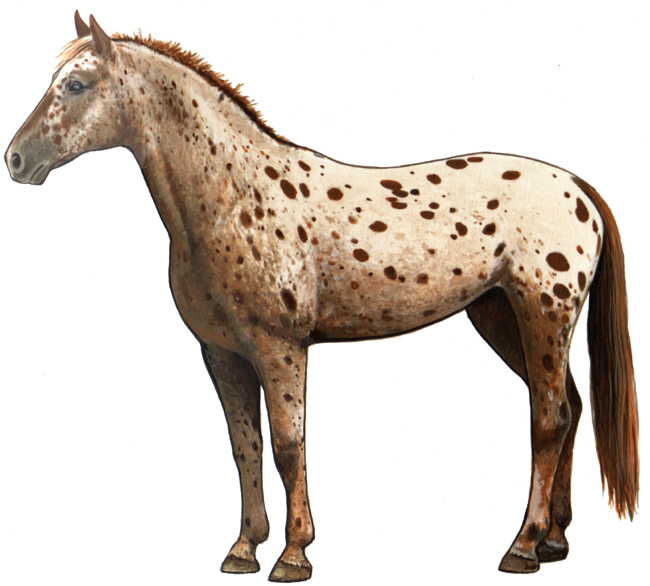 All feral horses are descended from domestic horses Most feral horses, if captured young and handled properly, can be re-domesticated. 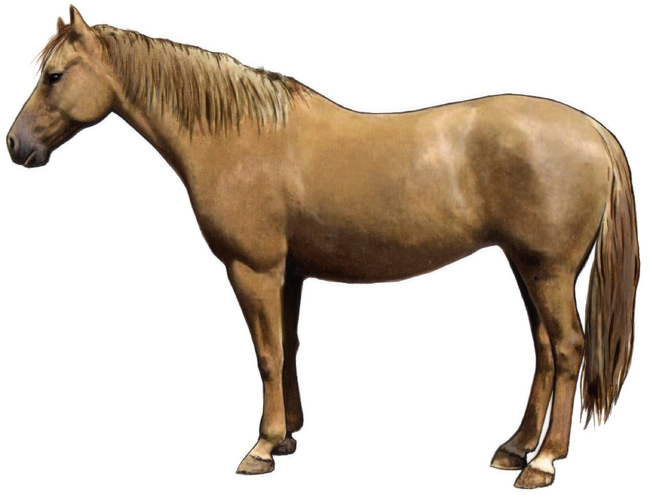 All North American feral horses are called mustangs. However, there are different breeds. The true Spanish Mustang is a direct descendant of the horses brought to the New World by the early Spaniards. Many were stolen by the Apaches, who traded them to other tribes. Many escaped and survived in the wild. Eventually they numbered into the hundreds of thousands.. The Native Americas of the great plains and the west have long been associated with horses, but they had only had them for only a few generations when they were met by the American settlers moving west. The Native American first acquired horses from the Spanish in the 1500s. By the early 1600s, they were in southern Texas and Californian. From there they spread north and east. All images copyright Feenixx Publishing.